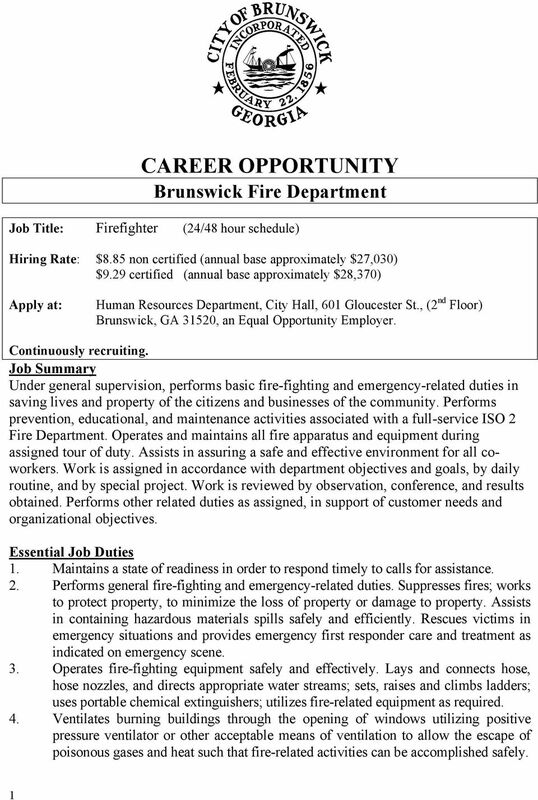 Download "CAREER OPPORTUNITY Brunswick Fire Department"
Page 1 of 7 Firefighter Physical Demands Analysis Description of Duties The Fire Department is a Volunteer or Composite (combination of Volunteer and Career Firefighters) fire service lead by a Fire Chief. 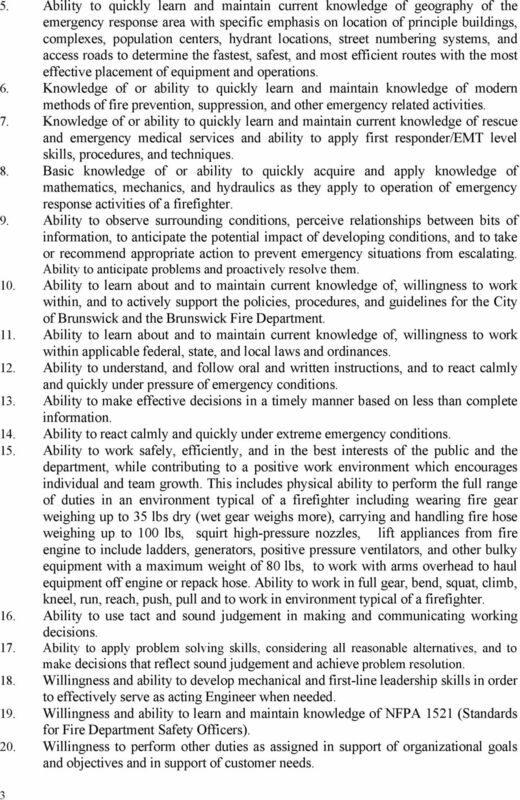 Smith County ESD2 Firefighter Employment Application Packet. Last, First MI. 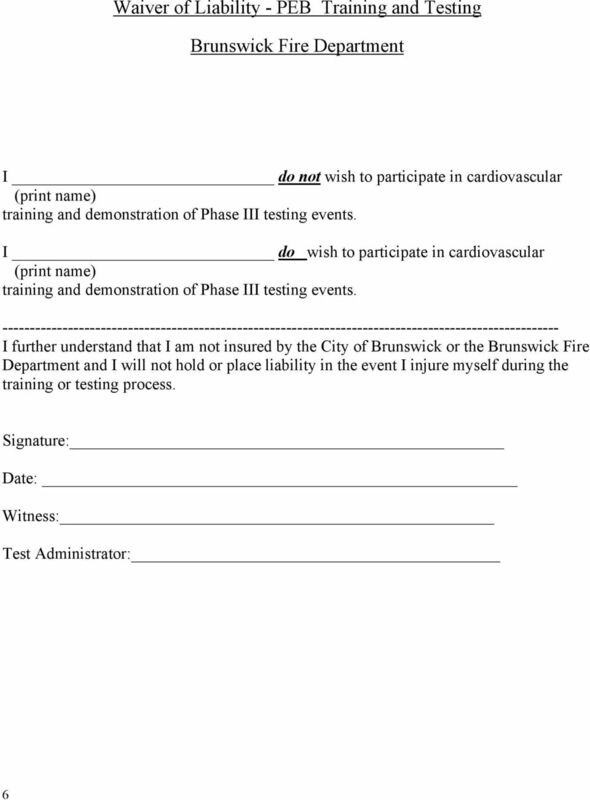 General Statement of Duties. 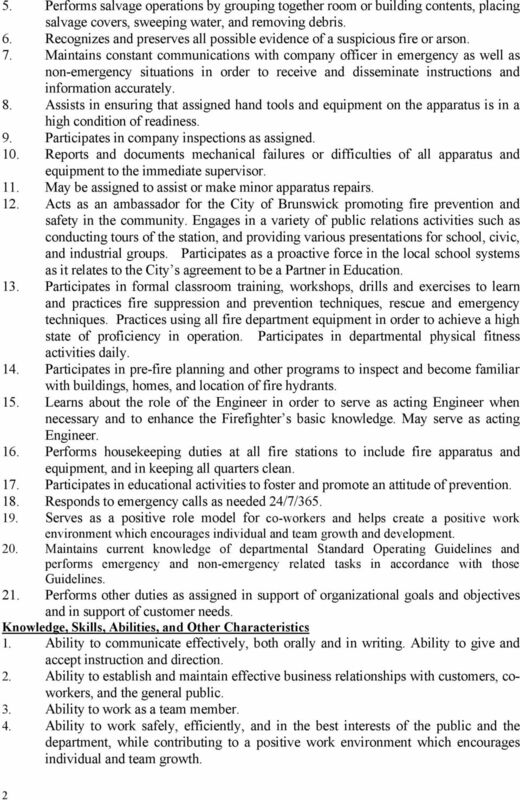 Lieutenants are responsible for the safety and well being of all members. VENTILATION Fire is the rapid oxidation of a combustible material, releasing heat, light, smoke, and various toxic gases If a fire is contained in a building, the heat, smoke, and toxic gases will spread. A&W WATER - SUPERIOR ENERGY SERVICES, INC. 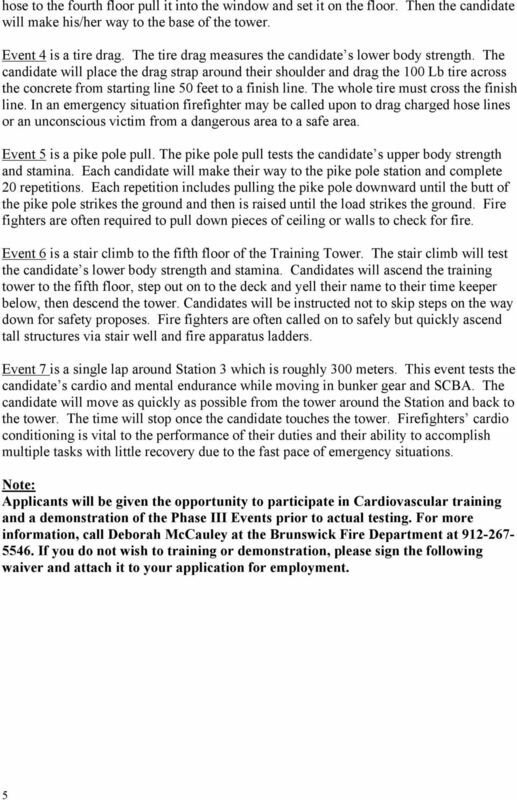 Note: Firefighters wishing to take this course must have valid air brake endorsement on their driver s license. 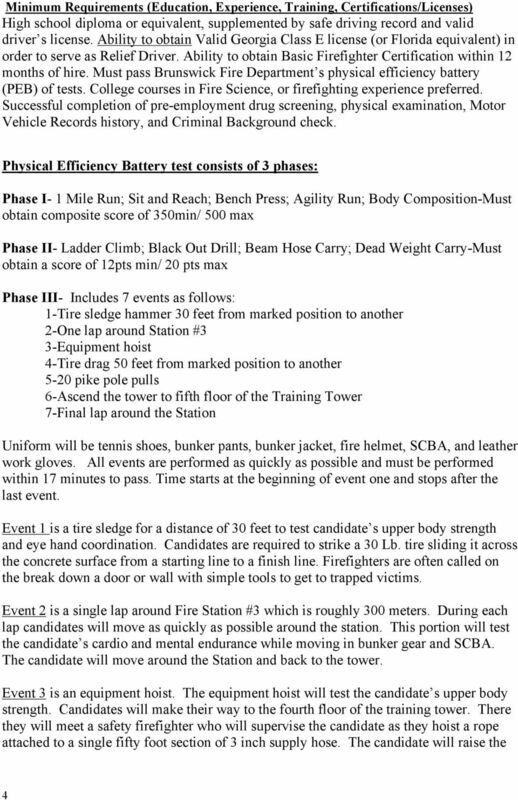 Seminar and Program Descriptions Two-Day Fire and Emergency Services Instructor (FESI) for Defensive Firefighting (Basic) This is a must for firefighters who take on the training role in their fire department.